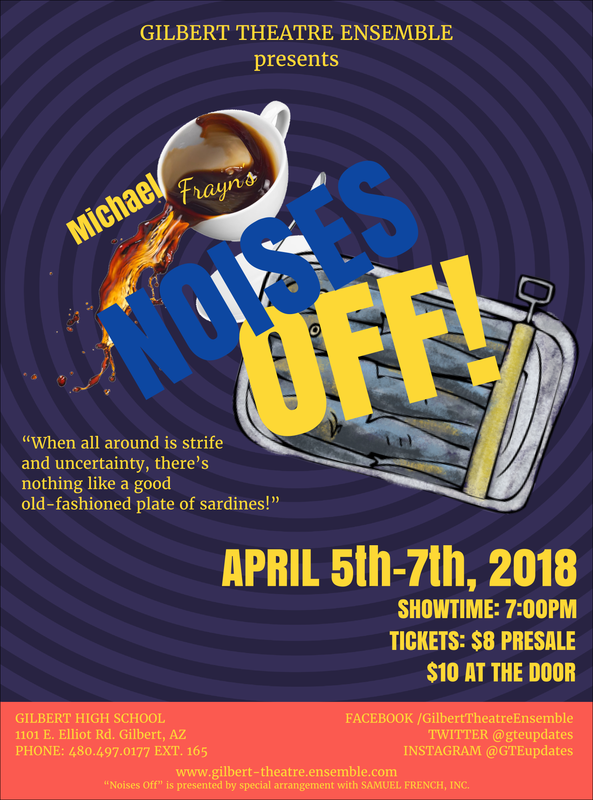 Each of the three acts of Noises Off contains a performance of the first act of a play within a play, a farce called Nothing On. The three acts of Noises Off are each named "Act One" on the contents page of the script, though they are labelled normally in the body of the script; and the programme for Noises Off will include, provided by the author, a comprehensive programme for the Weston-super-Mare run of Nothing On, including spoof advertisements (for sardines) and acknowledgements to the providers of mysterious props that do not actually appear (e.g. stethoscope, hospital trolley, and straitjacket). Nothing is seen of the rest of Nothing On.